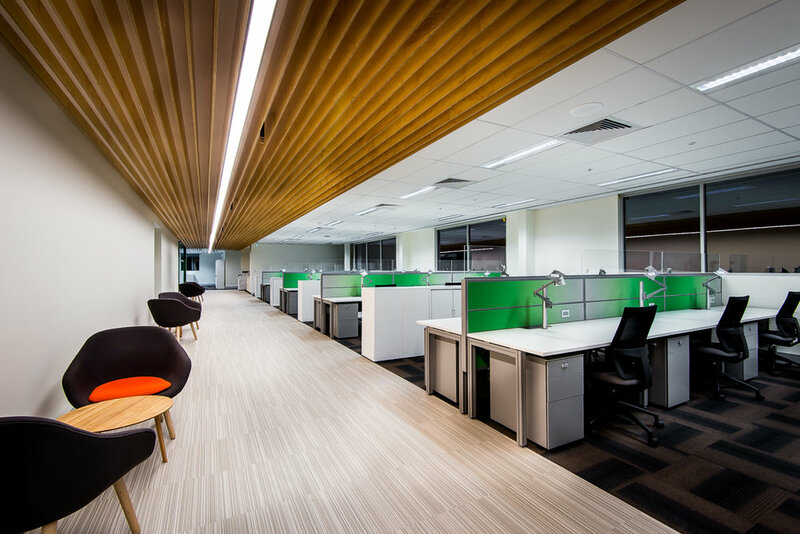 Energy efficiency is centre stage at Schneider Perth. 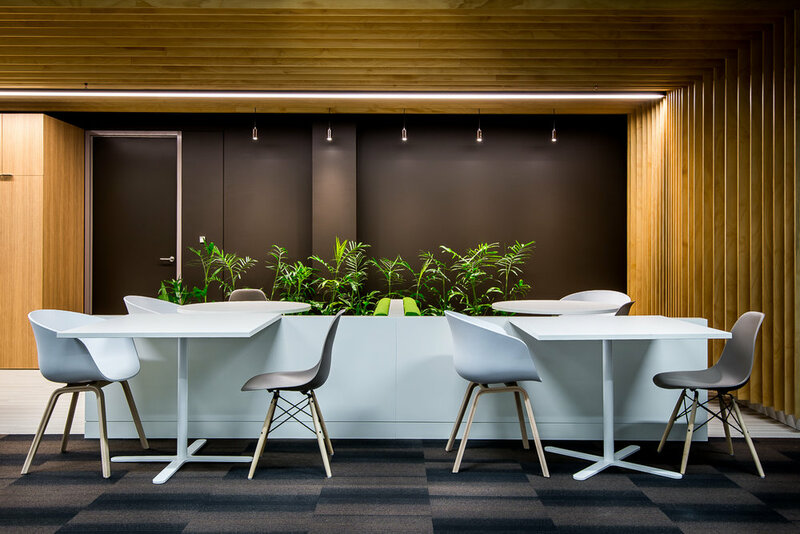 Much like the Sydney and Melbourne co-location projects by futurespace, Schneider Electric Perth brings together all of their brands from 6 locations across Western Australia into one central collaborative environment. The design concept draws on the Western Australian landscape; taking inspiration from the state’s expansive spaces, topography and richness of natural resources. 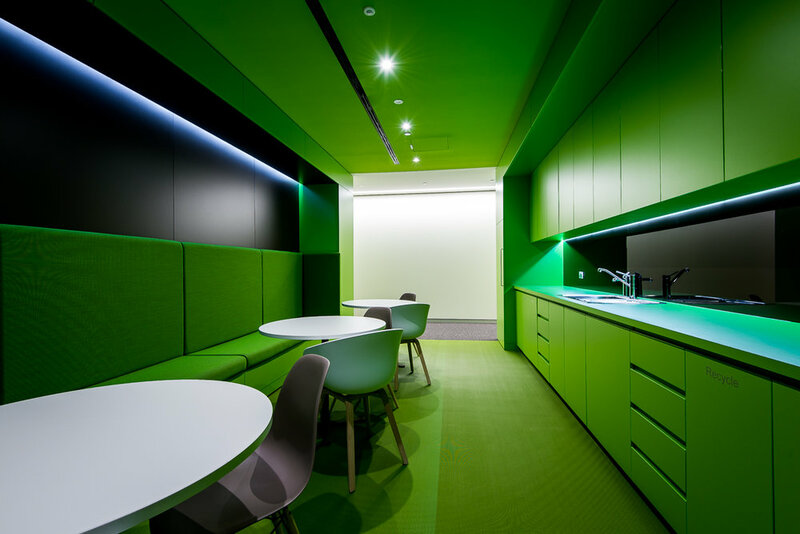 Unlike the previous projects, this fit-out was not aiming for a green star accreditation, although the same sustainability initiatives were employed in the design and construction of this office. Space planning takes advantage of the views and natural light by pulling built zones into the core and keeping the perimeter predominantly open plan. Collaboration is encouraged by offering a variety of casual team settings throughout the open plan workspace. Break-out zones are also located nearby the intertenancy stair to promote collaboration across the different business units. The main breakout zone on the ground floor also extends to an outdoor garden which can be utilised by staff and also as an extension of the client entertainment area. energy performance to staff and visitors.